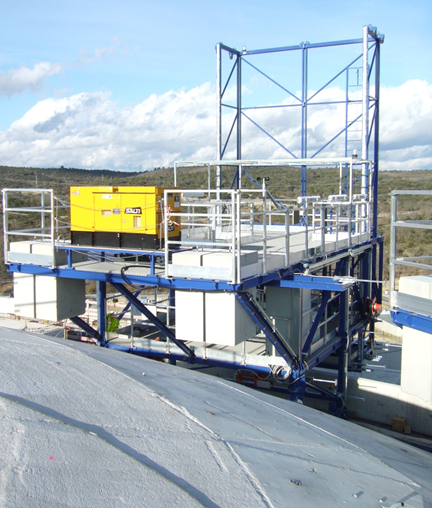 Prestressing platforms are mobile workshops designed to give support to operators on carrying out threading, grouting and tensioning operation on buildings. 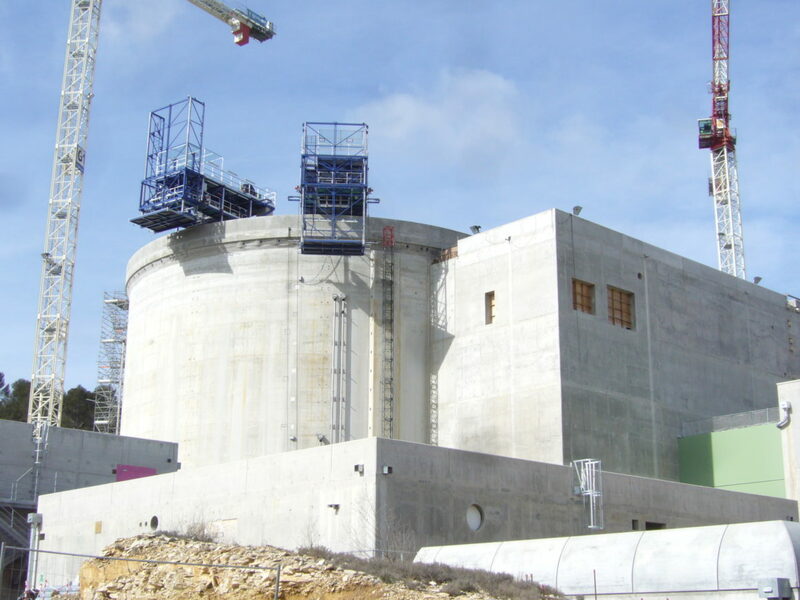 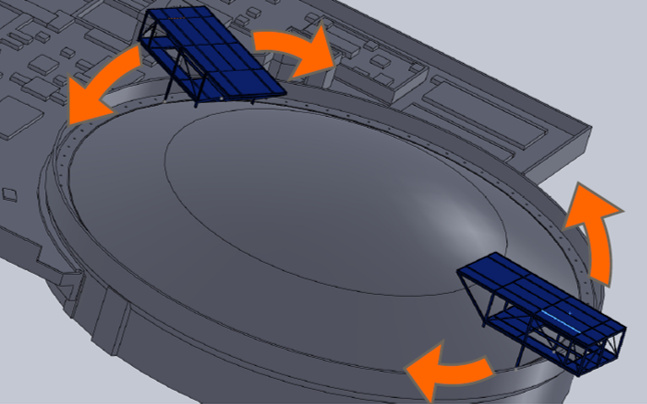 A pair of platforms work under synchronism during threading operation and they are capable to travel over a circular dome. 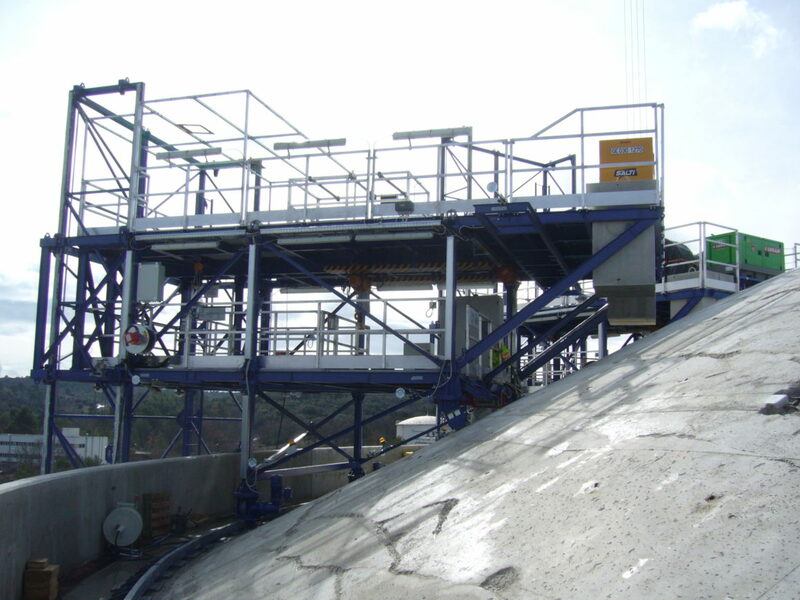 Thanks to movable floor they allow operators to reach any point on the vertical wall.